As I begin the third section of this history, I want to briefly reflect on section two and the fact that I’ve added a pair of films to Meryl’s catalogue over the period of five years. With Dances with Wolves in 1990 and Six Degrees of Separation in 1994, one may wonder if it’s reasonable to assume Streep would’ve been up for such a grueling schedule. I counter such a suggestion with the fact that Meryl has been quoted as saying to her husband when she was 38, “well it’s over.” This would’ve been right around the time A Cry in the Dark wrapped. Meryl knew she was approaching an age in Hollywood where actresses began losing box office appeal. Considering her workaholic tendencies, had the opportunity to continue to portray complex characters into her forties been there, I imagine she would’ve jumped at the chance, even if it involved a somewhat more hectic schedule at times. The strains of schedule ultimately made Meryl and Don move their brood to the Los Angeles area in 1991 when her atypical stint of Hollywood-based films was underway. I recall hearing Streep say in an interview that her son Henry had asked if they could cool it with the “on location” filming. In the aforementioned Weintraub New York Times piece, he suggests that Streep moved because she had been filming a number of movies in L.A. This situation is plausible even if we assume my reimagined history. Yes, I’ve removed movies she filmed in 1989 (She-Devil) and 1990 (Defending Your Life). But had she filmed Postcards from the Edge and Thelma & Louise in 1990 (both shot in California), one can see why she may be inclined to have a home in the area, a piece of information the importance of which will become apparent a bit later in this section. Back on the east coast by 1994, Streep had received a call from director Clint Eastwood to star as Italian war bride Francesca in the adaptation of best-selling novel The Bridges of Madison County. A commercial success, the film earned her a 10th Academy Award nomination. The gap between 1990 and 1995 was and continues to be her longest break between nominations. Something tells me that wouldn’t have been the case had she managed to land a few of the roles I’ve suggested. After the success of Bridges, Streep starred in a string of films that more resembled her path in the ‘80s. Perhaps after her experiment of campy Hollywood comedies turned out to be less fruitful than hoped, she returned to her tried and true process of role selection and delivered a string of exquisite portrayals of challenging and diverse characters. Disregarding Before and After (a lackluster flop which I’m removing), 1996 saw Streep team with Diane Keaton and a young Leonardo DiCaprio in Marvin’s Room. In a bit of a departure, Meryl played the unsympathetic, blue-collar single mother of DiCaprio, while Keaton portrayed her cancer-stricken spinster sister. Both received Golden Globe nominations for Actress in a Drama and for SAG ensemble, while Keaton scored both individual SAG and Oscar noms. In February 1997, Streep starred in the made for TV movie ...First Do No Harm. The project remains the only film Meryl co-produced. While living in California several years earlier, she had met producer Jim Abrahams and his son, Charlie, who suffered from a debilitating form of epilepsy. Charlie’s health was drastically improved by the controversial and understudied ketogenic diet. This story sparked the film, in which Meryl plays a fictionalized version of Charlie’s mother in a sort of public service announcement meant to draw attention to this form of treatment. Despite the humble production, the role earned Streep Emmy and Golden Globe nominations and she continues to act as an advocate for the Charlie Foundation. For the second half of 1997, I’m bumping up a film which was originally released in 1998, Dancing at Lughnasa. An Irish ensemble piece, this film, in my opinion, was essentially lost in the shuffle. Similarly to Plenty in 1985, Dancing at Lughnasa, while an exquisite film and excellent performance from Meryl, was overshadowed by her Academy Award-nominated performance in One True Thing, also released in ‘98. Were Streep able to film Dancing in summer 1996 and First Do No Harm in the fall (as it was originally), it would’ve allowed for the pair to both be released in 1997. This would’ve made it possible to better promote Dancing at Lughnasa in late ‘97 and perhaps even make a push for awards recognition. One True Thing will remain in place as the lone film for 1998. A year later we see her star in Music of the Heart, a film for which she spent the better part of two months learning to play the violin. Along with the ability to perform Bach’s Concerto in D Minor, Meryl gained her 12th Oscar nomination. Streep had a three year gap in films after 1999’s Music of the Heart. In order to adhere to my self-imposed “guideline” of having at least one project per calendar year, I somehow have to fill the void. 2000 is where I’m inserting a film in which Meryl was set to star (and co-produce) with Glenn Close: a screen adaptation of Friedrich Schiller’s play Mary Stuart. The news was first announced in summer 1997 with shooting expected to begin the following year, suggesting a 1999 release. Richard Eyre was set to direct with a screenplay by Charles Wood. Streep was to play the title character, Mary Queen of Scots, with Close as her English cousin Elizabeth I. Aside from getting to try her hand at some form of a French/Scottish accent (for the most part Stuart was raised in the French court), the pairing with Close in a dramatic historical drama is an enticing prospect. Unfortunately, as so often happens, adequate funding took a while to come together and Streep ultimately withdrew from the project saying her “heart was no longer in it.” Let’s assume for a moment that even though funding was delayed Meryl stuck with the project. Pushing the expected shooting schedule back a year from 1998 to 1999 would’ve no doubt given the film a 2000 release date. Even though this would’ve been the third high-profile film in three years to depict some version of Elizabeth I on the big screen (following Elizabeth and Shakespeare in Love in ‘98), I imagine critics and fans being unable to resist this dream pairing. 2001 is a little easier. Adaptation was filmed March-June of that year and Columbia had originally intended on a December release. Had everything come together as originally planned, we would’ve seen Meryl’s satirized turn as author Susan Orlean a year earlier than its original premiere in 2002. 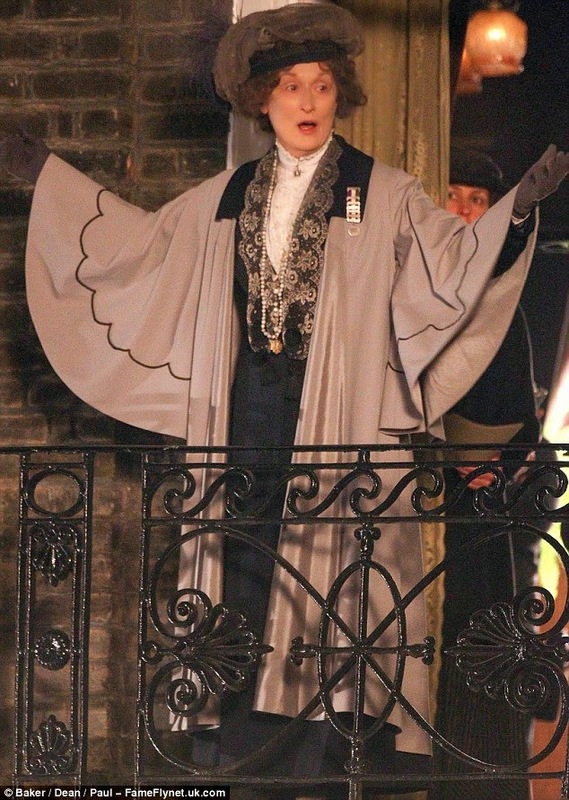 Incidentally, Streep broke Katharine Hepburn’s record of 12 Oscar nominations with this performance. Following Adaptation, Meryl joined Nicole Kidman and Julianne Moore in The Hours, based on the Pulitzer Prize-winning novel by Michael Cunningham. As these two films were originally both released in late 2002, moving Adaptation up a year would leave The Hours to stand alone in ‘02. Despite Golden Globe and BAFTA nominations, a mix up in category placement left Streep off the nominee list for both films at SAG and snubbed by the Academy for The Hours. Were Streep only eligible for one film in 2002, the category placement obviously would not have been an issue, and her Oscar nomination chances no doubt would’ve increased dramatically. Around this time, we again see a bit of a shift in the Streep trajectory. In her original filmography, the two year filming break in 1999-2000 acted as sort of unexpected reset point for her in the industry. Any sufferers of “Streep fatigue”, the concept of which is largely a myth in my opinion, were likely pacified for the time being. Indeed, the simple fact of having zero films released in 2000-01 may have been enough to establish a different view of Streep, now in her 50’s, but I offer that it was more the types of projects and roles she found at the turn of the millenium that provided for this change. After a five year period between 1995 and 2000 where Meryl’s films (again assuming my reimagined adjustments) tended to be a showcase for her abilities, we now see her under the direction of auteur(ish) filmmakers like Spike Jonze and Stephen Daldry. Solidifying this trend in 2003, Streep played four separate roles in the HBO miniseries of Tony Kushner’s Angels in America. Directed by Mike Nichols, the project saw Streep sharing the screen with her friend Emma Thompson and the great Al Pacino. Garnering 21 total Emmy nominations, Angels broke a record previously held by Roots with eleven wins. Meryl was among those winners, adding to the Golden Globe and SAG trophies she earned for her performance. Several sources are reporting that Meryl has signed on to star in Ricki and the Flash, a dramedy written by Diablo Cody which is to be directed by Jonathan Demme. What an impressive trio! The story centers on "a woman who abandoned her family when she was young to become a rock star and decades later returns home when her daughter is going through a difficult divorce." Streep is showing absolutely no sign of slowing down. Three months after the release of her Oscar-nominated performance in August: Osage County, she already has possibly four films set for release in 2014. And let's not forget that last summer it was announced that she would be starring in The Good House alongside Robert De Niro. I really hope Good House still happens. I can't imagine why it wouldn't, other than not being able to find someone who wants to direct it, as funding is already in place. Then there's the NRA takedown project, The Senator's Wife, which Harvey Weinstein announced he wanted to make with Meryl. The latter pair of films are both likely lead roles. With Into the Woods being the only arguable "lead" this year, I love that she's still finding roles where she'll be onscreen a bunch. Not surprisingly, I'm very excited to see if and how this pans out. It's possible that filming could begin later this year, which suggests a 2015 release. 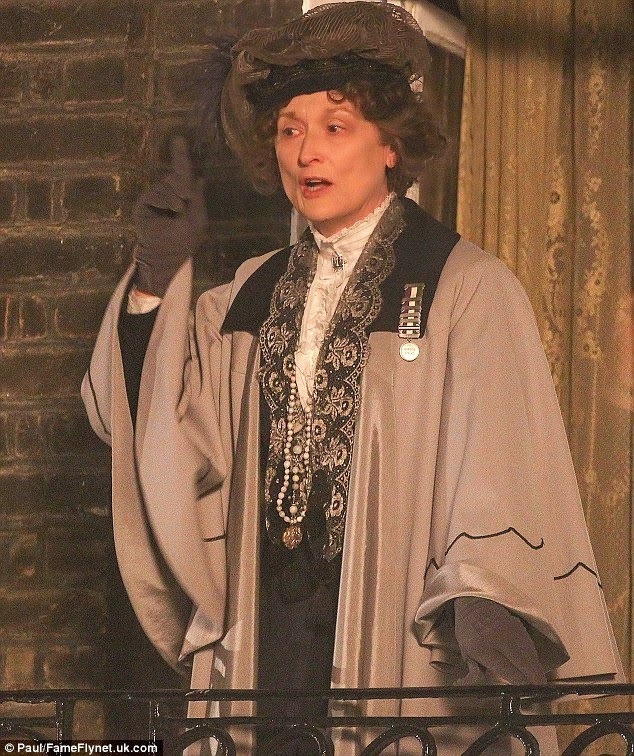 Several pics have been released of Meryl onset of Suffragette, in what appears to be her rousing speech. First pics of "The Homesman"
Beautiful pics. Obviously nothing with Meryl yet, but she likely only has very brief screen time in one of the last scenes. Regardless, I'm very much looking forward to this movie. The book is fantastic and it'll be fascinating to see how Tommy Lee Jones pulls it together. At this juncture, we see a significant shift in the pattern of Meryl’s screen choices. Her work during the period of the late 80s/early 90s, as stated in the introduction to this filmography, was the catalyst for my decision to explore the question of what could’ve been. An article in the New York Times from 1994 by Bernard Weintraub and another on wordpress.com by writer Michael Burge from 2012 provide some insight into the circumstances which led to this altered trajectory. The story starts in 1989. By this point Streep, pushing 40, had begun to feel the pressure to live up to her sizable asking price. Not accounting for Out of Africa, the five films she made between 1984 and 1988, while at times lauded for their performances, on average barely made back half their budget. Critics, as Weintraub writes, were saying “lighten up” and Meryl, ever the astute soul, was all too aware of these issues and subsequently decided to change course. Evita may have been a good start. It’s well-known that after almost a decade of attempts, a film version of Andrew Lloyd Webber’s musical was approaching fruition, with Meryl in place for the title role as the Argentine first lady and Oliver Stone set to direct. Unfortunately, filming location and funding issues repeatedly postponed the project until Meryl ultimately dropped out due to “exhaustion.” Had filming been able to go on as planned in early 1989, they would’ve been able to meet their expected late December release of that year. Alas, it never happened. At least with Meryl it didn’t. The film was eventually pulled together in 1996 and earned Madonna a Golden Globe for Best Actress in a Musical or Comedy. In Evita’s stead, Meryl teamed with Roseanne Barr to star in the Hollywood-based dark comedy She-Devil. A bit of a switch from sharing the screen with Robert De Niro, Jack Nicholson and Robert Redford.While Madonna’s version of Evita neared $200 million worldwide, She-Devil struggled to approach $20 million and scored a tenuous 41% on Rotten Tomatoes. She-Devil sparked a four year span in which Meryl uncharacteristically remained in Hollywood for a succession of comedic portrayals. Of the four films she made over this period, only 1990’s Postcards from the Edge makes the cut for my filmography. Streep starred alongside Shirley MacLaine in the semi-autobiographical adaptation of Carrie Fisher’s novel of the same name. The film was well-received critically, made back its budget for a change and procured for Meryl a ninth Oscar nomination. Here’s where I get a little inventive. With the understanding that the early 90’s were cinematically, as Michael Burge described, Meryl’s “wilderness years,” I’ve considered how compelling it would’ve been to see her in the role of Stands With a Fist in Dances With Wolves. The cruel irony in this period of Streep’s career is that her effort to be more appealing at the box-office resulted in a string of mostly flops. After Evita fell through with She-Devil as the unfortunate alternate, a film that drew significant attention would’ve been even more necessary to provide Meryl some sway when it came to continuing her status as the most sought-after actress in the business. Any success from Evita wouldn’t be enjoyed until after its release in late 1989, so if Meryl were to have an attachment to Dances With Wolves, it would not be because of any recent box office attention. Imagine if first-time director Kevin Costner, worried about the possibilities of a ballooning budget, the risk of box office failure and pressure from the studio to hire someone well-known, had reached out to a star lauded for her character acting and proficiency in different languages. Meryl could be the welcomed draw for an uncertain production. Of course, we know such a move wouldn’t have been necessary, as the great Mary McDonnell was outstanding as Stands With a Fist (earning an Academy Award nomination in Supporting) and the film itself did remarkably well at the box office, not to mention the Oscars. But Meryl was too old for that part, right?! Filming would’ve begun just after she turned 40 and Costner at the time was 34. Not the typical spread for a leading man and his onscreen love interest. Well McDonnell, while younger than Streep by just under three years, was still older than Costner and in fact older than her onscreen adoptive father, Graham Greene. Moreover, Costner has said he wanted the character portrayed by “someone with lines on her face.” I imagine Meryl would’ve had little trouble portraying Stands With a Fist with an almost childlike quality at times, similar to what McDonnell was so effective at conveying. 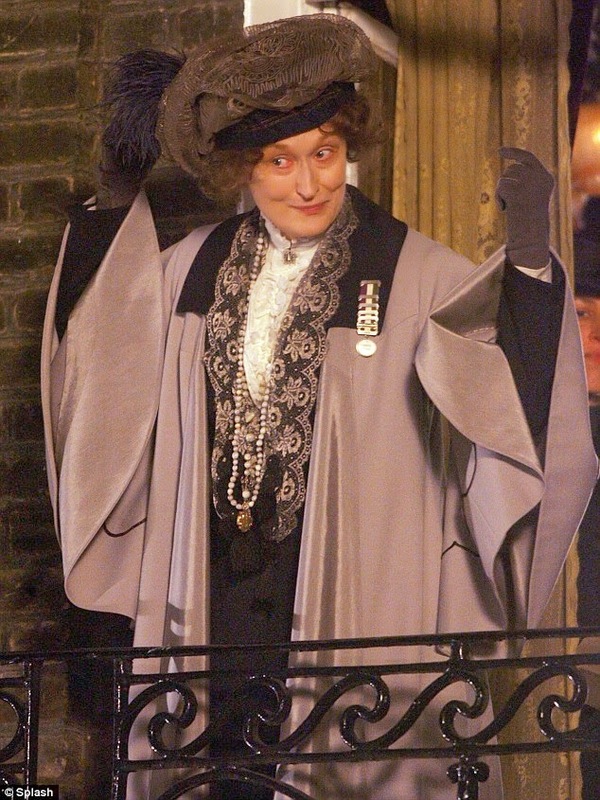 This, coupled with Streep’s physical appearance which has always left her capable of convincingly playing characters even a decade younger than herself, would in my opinion make any age difference between her and the originator of the role a negligible change to the film’s potential success and authenticity. 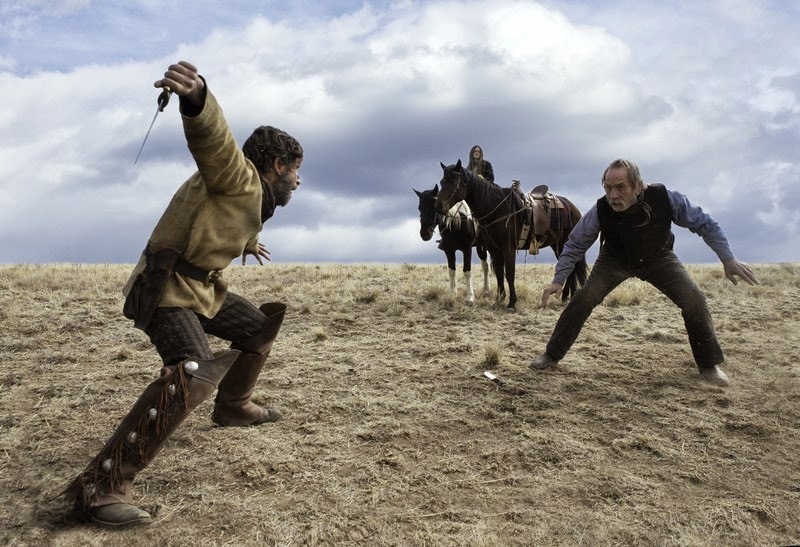 Another possible snag about starring in Dances with Wolves would’ve been the fact that its filming schedule overlapped with that of Postcards from the Edge. Assuming Streep had been involved in Dances, filming would be complete by November 1989. I don’t think it’s completely unreasonable to suggest that a Postcards from the Edge shooting schedule could’ve been pushed back to early 1990. With a February-April timeline for filming in Los Angeles, I see no issue with the possibility of a fall 1990 premiere. In this scenario, both films would have maintained their original 1990 release, and who knows, perhaps even secured for Meryl her first double Oscar nomination. Regrettably, 1991 is the biggest missed opportunity to date. Streep and her friend Goldie Hawn had met with director Ridley Scott to discuss the possibility of starring in Thelma & Louise. Unfortunately, for a variety of reasons this project never came together for Meryl and Goldie. Susan Sarandon was hired for the role Meryl would’ve played (Louise), with Geena Davis taking on Thelma. Both earned Oscar nominations, the last time a single film was recognized with two Lead Actress nods. Along with the box office and critical success of Thelma & Louise, the film sparked controversy in some circles for its apparently overt feminist tone. As Melissa Silverstein recalled of the film from a Women and Hollywood piece in 2011, “...change was in the air. Eight years of Ronald Reagan led to four years of George Bush and progressives were ready for a change.” This seems so up Meryl’s alley. However, Streep’s teaming with Hawn would have to wait a year and in 1991 we instead saw her star alongside Albert Brooks in the comedy-fantasy film Defending Your Life, a good movie but one that in my opinion did not require Meryl’s talents. 1992 topped off a four year period of Hollywood-based films for Meryl which was bookended by She-Devil and the even campier plastic surgery dark comedy Death Becomes Her. I may get a bit of backlash for wanting to delete this film from Meryl’s catalogue, as it’s kind of turned into a cult classic for many. Nonetheless, had Streep ended up pairing with Goldie Hawn for Thelma & Louise instead of Death Becomes Her, I feel we would look back today and scoff at the idea of the latter being a better option. And it wasn’t. Despite a Golden Globe nod for Meryl, the film lost money domestically and convinced Meryl that she would never again do a film that required her to work with special effects. Time to get (more) greedy. Assuming Streep had the filmography I’ve substituted between 1989 and 1991, her prestige as a bankable star may have opened the door to anything and everything out there. 1993 provides three Oscar-nominated roles for which Meryl at some point was considered. Shadowlands, starring Debra Winger as American poet Joy Gresham and Anthony Hopkins as her husband C.S. Lewis, is the movie I’ve chosen to fill the void left by nixing Death Becomes Her from 1992. This obviously means I’m moving the filming schedule up one year from spring ‘93 to spring ‘92. Not a problem in the absence of Death Becomes Her. Richard Attenborough had replaced Out of Africa director Sydney Pollack on Shadowlands, so I wonder how close Streep ever got to negotiations on the project. Unfortunately, Attenborough had Winger in mind for the role from the beginning. But what next? Were filming complete in England for Shadowlands by early summer 1992 (assuring a late ‘92 release), perhaps Meryl could’ve kept the family in the area to begin shooting The Remains of the Day in late summer/early fall. The history behind why Meryl was replaced by Emma Thompson in the role of Miss Kenton for this film has been described in some detail. The important point is that Streep was indeed replaced, as Mike Nichols, the original director attached, didn’t feel she and her proposed co-star Jeremy Irons were suitable after a screen test. This particularly stings, as Remains turned out be a fantastic film, earning eight Academy Award nominations and a 97% rating on Rotten Tomatoes. If Nichols or eventual director James Ivory had found Streep suitable for The Remains of the Day, it may have been less likely that she would’ve signed up for 1993’s forgettable The House of the Spirits. Yes, its early ‘93 filming schedule technically would’ve worked out with the other changes I’ve made thus far. Spirits however, while baity on paper, was an absolute bore to critics and moviegoers. The only interesting aspect when comparing it to the rest of Streep’s filmography (aside from getting to work with Glenn Close and Vanessa Redgrave) was that it portrayed a Chilean family, something Meryl certainly hadn’t done up that point. Strangely, the film was cast with mostly white, English-speaking actors who all sounded either American or British. This was the only case I can think of where Meryl, in a feature film, chose not to indulge in an accent when portraying a woman whose first language would not have been English. And hey, if Evita had worked out, a South American character (and likely Spanish accent) would’ve already been covered four years prior. Some may find it strange that I’m keeping The River Wild in 1994, but it’s her only true action film. It was also a fine movie that at the time ignited some needed box office buzz for Streep. She earned both a Golden Globe and SAG nomination (in the SAG Awards inaugural season) for her performance. The film also provided Meryl a chance to show off a few new skills, the acquisition of which she is obviously quite fond. White water rafting and the physical strength required for it are one thing, but it’s the only film where Meryl portrays someone who knows and utilizes American Sign Language. Although she uses it on only a handful of occasions in the movie, I wager she went beyond the minor requirements for the film and became semi-fluent. Streep has reportedly stated that she “emerged from The River Wild with a lot of metaphors for living.” Far be it from me to alter that. It’s been suggested that Meryl was interested in starring in Six Degrees of Separation, the third of my three poached roles originally from 1993. This is the perfect project to insert for a late 1994 release. Pushing back a spring ‘93 to ‘94 shooting schedule for said film would allow for her to have The River Wild released in summer 1994 with Six Degrees released later the same year.Streep would’ve played New York socialite Ouisa Kittredge, a role originated on stage and in the film by Stockard Channing. Fred Schepisi, who had directed Meryl in both Plenty and A Cry in the Dark, was set to helm the picture. We also would’ve had the chance to see Streep team up with former stage colleague Mary Beth Hurt, with whom Meryl starred in her first Broadway play in 1975, Trelawney of the Wells (for which Hurt received a Tony nomination). Despite these connections, Channing landed the part and did a marvelous job as Ouisa in a film I thoroughly enjoy. First trailer for "The Giver"
It's under two minutes long and seems very much unlike anything Meryl has done before. But like I've said, I think she's probably wanted to work with Jeff Bridges for a while and the book was possibly something her children enjoyed when it was first released. Looking forward to it! In early 2013, while working on a succession of posts for Word on the Streep I began to consider doing a comprehensive retrospective of Meryl’s screen career. Numerous newspaper articles, online posts and recently even books have already done as much. For my own interest however, undertaking such a venture would involve a modest divergence from the typical approach. The twist would involve me looking back on a sort of “reimagined” history of her work, inserting Streep into projects for which she was in consideration or had shown interest, but ultimately did not participate…a “shoulda coulda woulda” of her entire career one could say. This idea originated from having always been a bit perplexed about a certain period of Meryl’s career. After what was arguably the most acclaimed decade any actor has ever enjoyed on the screen, in the late 80’s Streep made a shift in her role choices. The reasons behind this are still up for debate, but there are a few theories out there. Researching the rationale for this deviation prompted me to speculate on how much more impressive Meryl’s career could’ve been (an audacious notion) without that interval of peculiar portrayals. With this period as a starting point, I decided to address any similar situations in her career where I would have enjoyed seeing a slight change in her filmography. As stated above, when “adjusting” her history, I made choices from a list of successful (whether critically and/or commercially) films that were produced without Meryl’s involvement, but for which she was at the very least rumored to have been attached, with three distinct exceptions: 1. one film for which I can find no evidence of Meryl ever having been considered for the role, 2. one film that was set to involve Meryl but was never ultimately produced, and 3. one film which became neither a critical nor commercial success. Obviously this reimagined filmography will therefore be a very selective index of role choices from my own point of view. A total of eleven films have been added, all of which have already been individually covered in my Shoulda Coulda Wouldas section. I’ve deleted eight of her films, for a net increase of three projects over a span of nearly forty years. The first couple of years of Meryl’s screen history were rather impressive for a woman who up to that point had solely performed on stage. 1977 saw her get her start in a made-for-TV movie alongside Michael Moriarty entitled The Deadliest Season, which explores the dangers of professional hockey. Later that year, Streep made her big screen debut in Julia, starring Jane Fonda and Vanessa Redgrave. It’s been suggested that director Fred Zinnemann considered casting Meryl in the title role, but eventually decided on Redgrave, as Streep was essentially unknown at the time. Ultimately, I think Meryl’s small role as socialite Anne Marie was a perfect introduction for her in a big Hollywood film which garnered eleven Academy Award nominations. Next up in 1978, Streep would star in and receive an Emmy Award for the miniseries Holocaust, followed by Best Picture Oscar winner The Deer Hunter, for which she would go on to earn her first Academy Award nomination for Supporting Actress, starring alongside her ailing partner, John Cazale. Cazale passed away in March of ‘78 after which Streep almost immediately began shooting The Seduction of Joe Tynan with Alan Alda. Meryl has stated that she was on “autopilot” during filming. Imagine if Streep had been spared that schedule and had until spring or summer before she began working again. Had that been the case, filming Tynan could’ve waited until 1979 and the rest of her year could’ve gone on as planned, with the filming of Manhattan under the direction of Woody Allen, and Kramer vs Kramer, both released in ‘79. Meryl of course received her second Oscar nomination and first win (Supporting Actress) for Kramer. Assuming The Seduction of Joe Tynan were to feasibly work for a 1980 summer release (in an election year not a bad strategy for a film basically about D.C. corruption), as I alluded above it would need to have been filmed sometime in 1979. The only way that would’ve been possible is if it were done relatively early in the year, as Meryl would’ve been pregnant with her first child, Henry, the majority of that year. As stated earlier, Tynan was originally filmed in the spring shortly after John Cazale’s death in 1978, so if we bumped filming to the following year, a March through May shooting schedule would likely have been necessary, albeit possible, for Meryl not to be “showing” much. After testing the waters with Tynan in what would’ve been the closest Streep had come to a leading film role up to that point, 1981 through 1983 are no-brainers. With three consecutive Lead Actress Oscar nominations, The French Lieutenant’s Woman (‘81), Sophie’s Choice (‘82) and Silkwood (‘83) will all remain firmly in place. My first deletion of her history comes with the forgettable Still of the Night, a noir piece from 1982 which Streep herself called “a bad movie.” It’s not a particularly memorable role either, so I doubt I’d miss it much. With 1984, I dare to make my first substitution. That year she again starred alongside Robert De Niro in the romantic drama Falling in Love. The film wasn’t poor, but there was nothing particularly special about it, apart from the quality of its two stars. Instead, this may have been a good opportunity to make the Patsy Cline biopic Sweet Dreams, originally released in 1985. This was a role Streep had begged her French Lieutenant’s Woman director Karel Reisz for, but was turned down in favor of Jessica Lange, who went on to earn an Oscar nomination for her wonderful portrayal of Cline. I mean no disrespect to Lange, or any future actors I mention in this piece whose roles I suggest Meryl usurp, but this would’ve been a great replacement for Falling in Love: a well-known country music icon, the possibility of singing, a Virginian accent. Of course it’s a mystery if the film or performance would’ve or even could’ve been as good or better with Streep in the role (a question which can supposedly be raised with every change I choose to make in her filmography), but in my opinion it’s an improvement to a screen career which managed in a relatively brief period to acquire a reputation for nearly unparalleled variety. We also have to assume there could’ve been a way for Reisz to be persuaded by Meryl’s impassioned request. We’ll keep the two films from 1985 with one exception: I’m pushing Plenty back a year to 1986, leaving Out of Africa, an epic Academy Award-winner for Best Picture and box office success, as the sole project for ‘85. With Plenty moved to ‘86, that means I’m nixing Heartburn. This one was a tougher call, as Heartburn isn’t a bad film and it paired Meryl with Jack Nicholson for the first time. But it’s not a necessarily a good film either, and although I like that Meryl was able to work with Nora Ephron and Nicholson, we already had Ephron’s screenplay for Silkwood and future collaborations, and we’ll see Nicholson in 1987. It was cute how Meryl got to have her daughter Mamie play her daughter in Heartburn as well, as the toddler was adorable and I’m sure it’s something special for the two of them to look back on. In my opinion however, Meryl’s role in Plenty depicts a far more complicated and interesting woman than the virtually autobiographical one as Nephron in Heartburn. I also believe that Meryl’s performance in Out of Africa and the grand scale of the film itself completely overshadowed any recognition she could’ve received for Plenty in the same calendar year. It’s reasonable to assume that a shooting schedule for Plenty in 1985 could’ve been done around the time she originally filmed Heartburn (late summer to early fall), similarly to the previously unmentioned expectation of substituting the filming schedule of Falling in Love for that of Sweet Dreams. On paper, neither should’ve been impossible in regard to Gummer family planning, either. By 1987, Streep had garnered six Academy Award nominations for an impressive variety of roles and films. She took 1986 off from filming, giving birth to her third child, Grace. In this reimagined history that’s still absolutely possible, as Ironweed, costarring Jack Nicholson, was filmed entirely in 1987 and released in December of that year. No changes necessary there. 1988 saw her undertake a difficult Australian accent in Fred Schepisi’s biopic of Lindy Chamberlain in A Cry in the Dark. Both films of course earned Meryl two additional Oscar nominations.